Are you looking to buy a good teapot? Along with aesthetics, you’ll want a good pouring vessel that maintains heat for as long as possible. Your tea-drinking preferences will also dictate the type and size of teapot to buy. Teapots come in a variety of capacities that range from 12 ounces to 66 ounces. The most popular size is a 32-ounce teapot, which is designed to brew and serve four cups of tea. The first teapots came from China, where tea was discovered and enjoyed. These vessels were made of pottery and introduced to Europe in the 17th century. They tended to be small individual pots, with tiny matching cups. Pottery from China caused a sensation when the English first saw it. The quality was far superior to any European equivalent. That's where the term "china" was derived when referring to nice teapots, dishes, plates, and cups. These days you can buy any kind and shape of teapot imaginable, from novelty china pots to elegant sterling silver tea services. Yet, the classic "brown betty" style of teapot, which comes in a wide variety of colors and capacities, remains the most popular vessel design for brewing tea. This style of teapot is highly functional and the darker colors don't show stains that can occur from the tannins in tea. 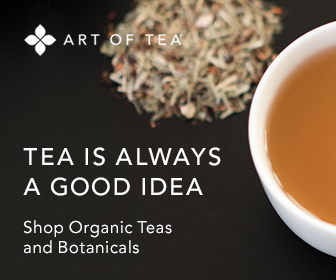 When choosing a good teapot for brewing black tea and other favorite blends, consider these buying tips. Does the vessel look appealing? Often, part of the comfort and pleasure of drinking tea is in the preparation and use of a favorite pot, with it’s plump curves and solid lines. You will want a teapot that is made of hard, dense clay or other materials that will hold heat. Tap the pot with your finger and listen for a sharp, solid sound. Check the fit of the lid. Your pot will have a vent on the lid, which should fit so tightly that when you cover the vent no liquid will pour from the spout. Of course, the flow from the spout is important. (What’s worse than a dribbling teapot!) Since it's not usually practical to test a pot with liquid before you buy it, check that the top of the spout is level with the top of the pot. More oval shaped spouts are less likely to drip than rounded ones. The handle of a good teapot should be well positioned. When you lift a pot that is filled to capacity, there should be little-to-no strain to your wrist. Also, the handle should be wide enough that your knuckles don’t get burnt against the pot.There should be enough distance between the spout and the top of the teapot so your hand doesn't get scalded with steam when holding the lid in place as you pour the tea. Once you find a teapot you like, you may want to consider buying a tea cozy, which will help keep your brewed tea warm in the pot for a longer period of time.